Fireflies and Jellybeans: Giveaway! CSN Stores!! A little while ago I got the opportunity to review and item from CSN Stores. If you do any online shopping, CSN stores is your place to shop! 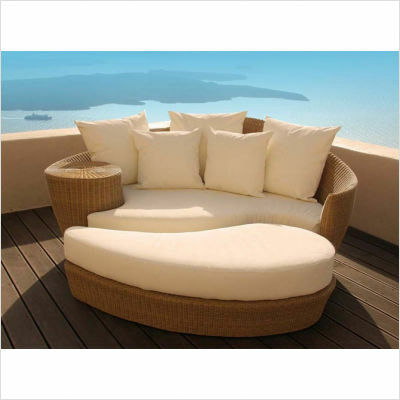 They have everything that you could ever want, from le creuset cookware to outdoor furniture to car seats. You name it - they have it! So, for my review, I ordered a couple things for the bathroom that we are adding to our basement. 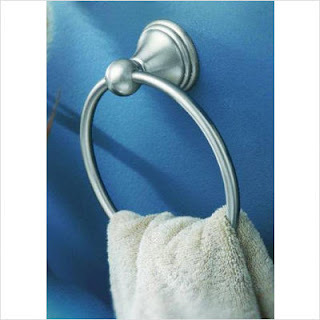 I got this towel ring and this shower rod. Both are excellent! CSN is so easy to work with and they have WONDERFUL communication. I got an e-mail letting me know when my items were shipped and when they were expected to arrive. I love that! Plus A LOT of their items have free shipping which is a bonus! CSN Stores are offering ONE LUCKY READER a $60 gift credit to go toward a purchase at any of their stores! 1. Visit CSN stores and come back to tell me what you would get if you won. 2. F&J Followers get an extra entry. This Giveaway ends on Teusday 8/31/10 at midnight (CST). I would probably spend all that money on the le creuset cookware! I love their stuff. Let's see, I need to replace some of my scratched non stick pans. I'd love some new pans. The CSN selection is awesome! I am a follower! Thanks for offering a giveaway! If I were to win I would get the Ginsu 14 Piece Bakelite Traditional Knife and Block Set in Black and Trademark Global Blue Police Wiggle Ride-on Car. A toy for me and a toy for the little people. We're redoing the bathroom so I'd get towels for that! Ohhh I'd also love a new set of knives!!! I am a follower! Thank you for offering this giveaway. I need flatware, so I would probably pick the Phaltzgraff pearl set. I love the little detail on it. I would buy some stuff for my new kitchen :) Need some new kitchen gadgets! Thanks for the chance to win! I'd get a blender for the hubby! ...and of course I follow you. It's really more like stalking. I would get the le creuset frying pan, in lime! I would love to get one of the circus playhouses for my in home daycare...my kids would love it! and i am for sure a follower!! Paula Deen 2 Piece Solid Wood Spoon Set, 10" and 13"
I always need more wooden spoons! I would get some combination of Le Creuset cookware in caribbean and cherry! And I have been lusting after the le creuset in Caribbean just like in your pic! Couch covers. My hand-me-down couches need them desperately. Definitely already a FF&J follower! I would get the Paula Deen chef knife set. I really need some good knives! So hard to pick just one item. I must say though I need some items for the kitchen I need a desk chair like the Office Star Work Smart Task Chair because the one I have now is uncomfortable. I should get bathroom towels but would get the 3qt Au Gratin dish from Le Creuset in cherry. I would put it toward a treadmill. unsure which one, so many choices!! I would love to get some play kitchen stuff for the kids for Chirstmas! There are so many things to choose from!! I love CSN Stores!! I totally don't need them but I love em! This is the first time I've ever looked at CSN stores! WOW! I would love to get a new sofa, I'd have to save up for a while tho. Thanks for the giveaway! I would spend it to get some new spice jars. I would love to get the AFGInternational Athena Deluxe Glider in Cherry! My baby is due november 1st and we have been looking around for a rocker! I would definitely get some of their awesome hardware! I'm getting ready to update my kitchen! Whoa. They have so much stuff... I'd probably get some new hardware for a dresser I'm refinishing and a new light fixture for my living room. Or maybe something for my little dude for Christmas. All I know is that it'll take me a while to decide. There are so many things to choose from. I would have to decide between a toddler bed for my almost 2 year old or maybe some outdoor furniture because we are doing some improvements to our backyard. I would also love some more kitchen items. You can never have too many kitchen gadgets. I'd get some kitchen stuff--maybe some le crueset or a muffin top pan! I need a new wall clock! I would get some non stick bakeware. I would get the saddle seat counter seats in walnut...love them! What a great giveaway. I would buy new plates. I would use it to put towards a Le Creuset dutch oven! I want one so badly! I would love to get anything that will help me to get organized in my home office/craft room! I would probably either get some of the Le Creuset or use it towards a 2nd car seat. I'm an F& J follower!! :) Thanks for the giveaway! CSN is great! They have the cutest pair of rain boots that I just adore and would love for this "winter" when it's cold and rainy! Thanks for the giveaway! I would def put it towards some new sheets in our master bedroom, we're in serious need of an update! I follow you...thanks for the chance to win! I'm still itching to get one of those cereal dispensers....here's hopin! I love the selection at CSN. I would choose a Dash and Albert rag rug in lighthouse denim. Gorgeous. Thanks for the chance. I'm also a Fireflies and Jellybeans follower and have your blog in my sidebar list of daily reads. Thanks for another chance! I will definitely buy something for our kitchen - probably a new knife set since our current one stinks! I'd buy a snow cone maker! Yep, totally decadent! I'd add to my Fiestaware collection! Thanks for hosting! I would love to get some new cookware or a grill! I would like to get the Radio Flyer Scooter! I'd love some new bakeware! I would probably put it towards the purchase of a trampoline for my daughter. I would get the kids craft nantucket chair and table. =) Thanks for the great give away. I want a new clock! They have so many gorgeous ones to choose from! Id love a new rug for my living room...there are several that I would be very happy to have from the CSN store! I am a follower of yours. And I would like a new lamp. There are several I would like. Lots to choose from, I'd start with a donut pan...for some reason I've been really wanting one of those. I would put the credit towards a new bedding set. The Dwell Gate Ash set is my favorite right now. Fun! I love their selection of kids rugs! Beautiful! Thanks for the great giveaway! I would get a Le Creuset square bake dish. Thanks for the giveaway! I think I would get a chair for my girls room so i don't have to sit on the floor. I'd use it to help pay for a Le Creuset dutch oven. One day I will have one of those beauties! I desperately need some new bedding! 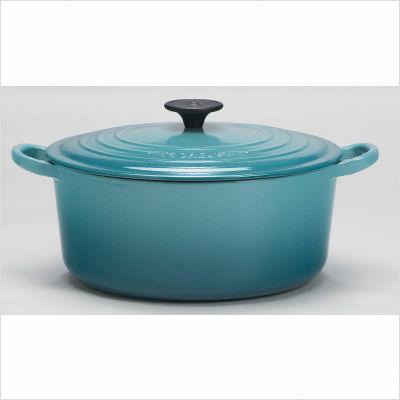 If I were to win this giveaway I would love to have the Le Creuset 9.5 Qt oval French oven! We are moving at the beginning of Oct and we need a new wall clock. And they have some great Howard Miller wall clocks, so that's what I would get. I'd love to get a set of Wildon Home Sateen Solid Combed Cotton 600 Thread Count Sheets! I want a treadmill but there are so many things I'd like to have. Thanks for a chance to win. I'd purchase a new ironing board or a mini food processor! I would definately get some new towels. 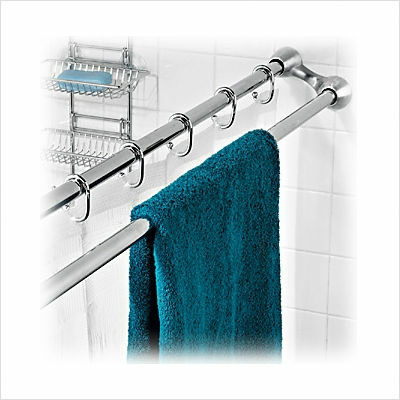 That shower rod is awesome! I love the extra space for towels. I would love some new silverware. I would get the IMAX Grand Hotel Wal Clock in black & white! I would buy a flatware chest for my new flatware!!!! I would also spend the money on some le creuset!! I'd put it towards a kids table & chairs I have been eyeing for awhile, but are too expensive! I would LOVEEE to win this, so I could finally get it! and of course I'm a follower! love your blog! I would love to get a new blender. I would get a new food processor since I dropped mine on the floor recently. Mmmmm. 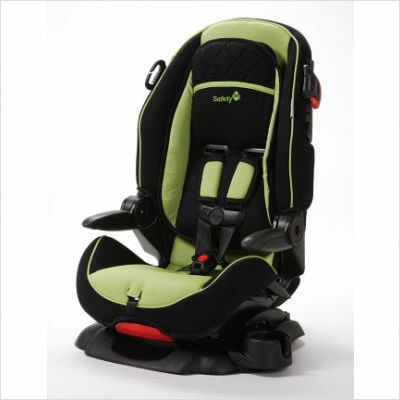 I think I'd put it towards the InSTEP Safari Double Jogging Stroller in Blue/Chocolate. Delicious! I would order some corelle dishes. I've been eying some folding shelves! Would go for a new jute rug!Love your blog! oh - and i am a follower!! I would get the large pink lego set for my dd for xmas!